If you’re a military mama nursing your babe, odds are you’ve wondered how you’ll navigate feeding your little one in uniform. Thanks to some updated policies in recent years, you can. 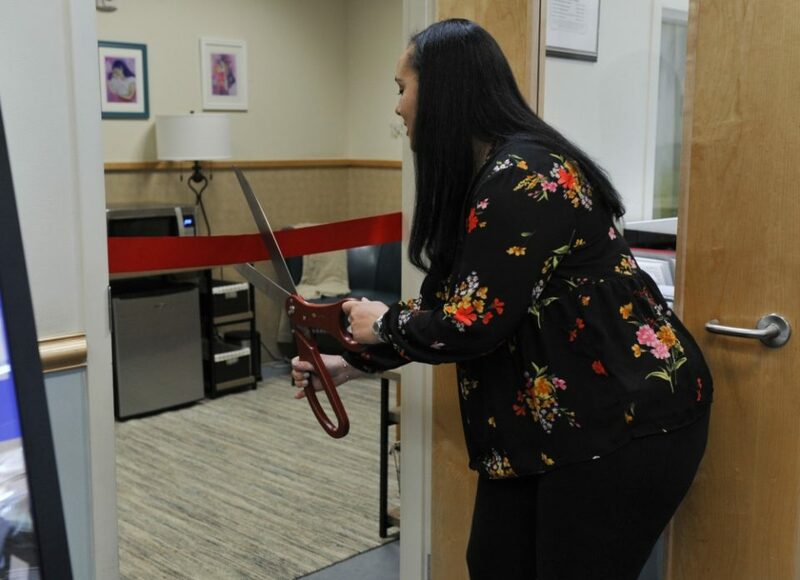 Thanks to a contest sponsored by Aeroflow Breastpumps, the mamas at Joint Base Charleston, South Carolina have a modern lactation room to support nursing service members. Just a few years ago, soldier mothers didn’t have policies protect their right to breastfeed and when they returned from maternity leave? It’s true — in October of 2015, the Army finally joined the Air Force, Marine Corps, and Navy in issuing policies to protect nursing service members upon returning from maternity leave. Any guess what those policies looked like? 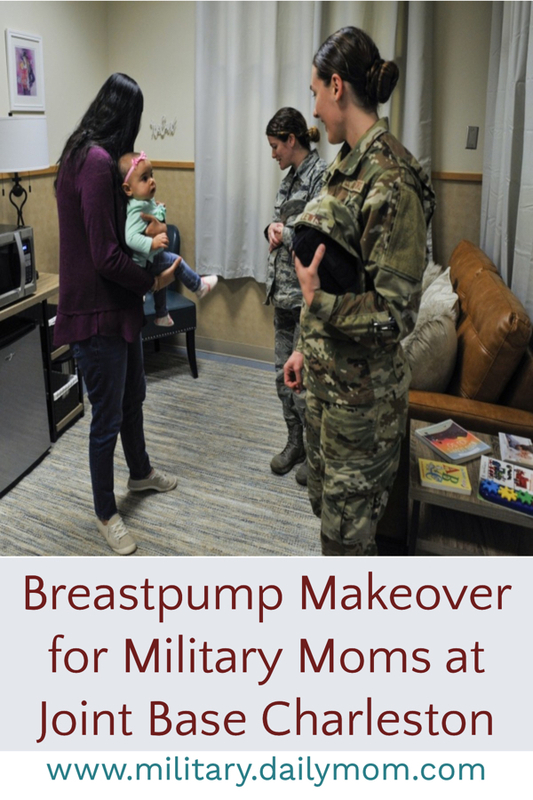 The Air Force policy for both breastfeeding and pumping grant service members breaks of 15-30 minutes every three to four hours as needed to nurse or pump for their baby. Additionally, the Air Force policy says that restrooms are not appropriate locations for pumping (so apparently toilets are neither sanitary nor comfy seating for pumping or nursing — interesting). Similarly, Navy and Marine Corps guidance also says that designated pumping areas should not be located in toilet spaces. For those in the back, we say it again: Pumping areas should not be located in toilet spaces. When the Army joined in the policy-making, the guidelines weren’t as descriptive as many breastfeeding advocates would have preferred, but — hey — considering many mom service members still live in the “If we wanted you to have a baby, we’d have issued you one,” mentality, it’s a step in the right direction. It deems that commands provide designated spaces for soldiers to pump, regardless of whether they were in the field or in their offices. Commanders and soldiers are encouraged to work out times that balance mission readiness and a mother’s needs (no emphasis on order). 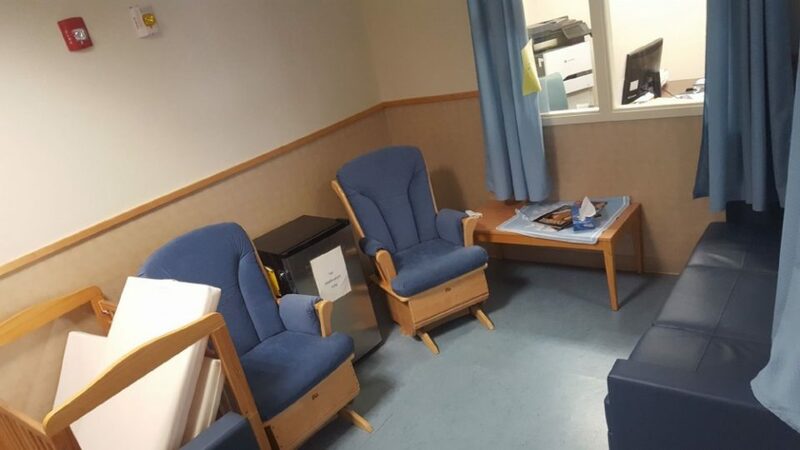 What Does a Military Lactation Room Look Like? Interesting you should ask — they obviously vary. 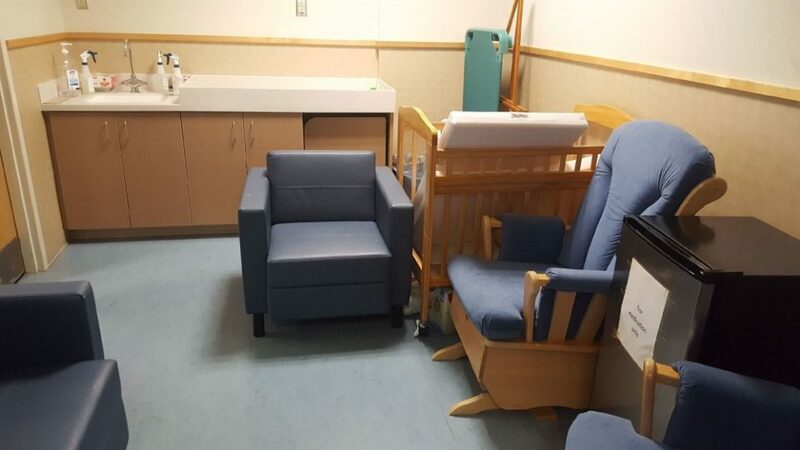 And as we are all probably aware based on our own visits to our favorite lavishly decorated bases, military lactation rooms likely need an update as badly as the 1960s-era office chairs in the conference rooms. 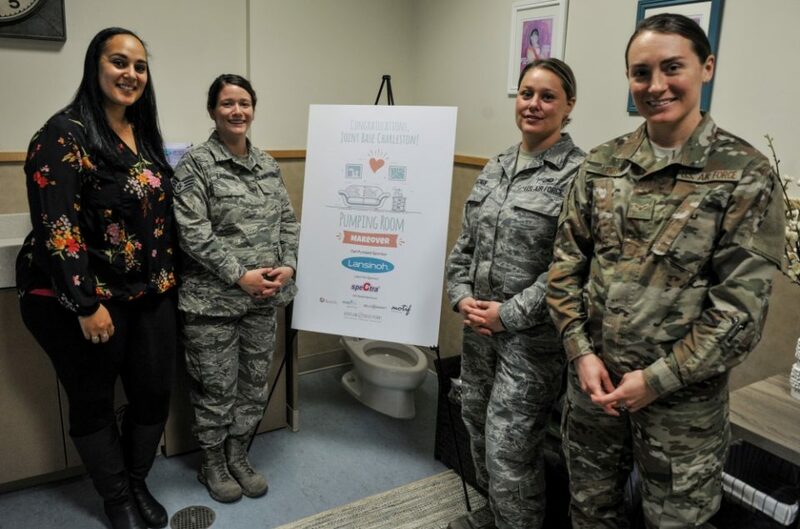 So, when Aeroflow Breastpumps sponsored their first-ever Pumping Room Makeover contest, we shouldn’t be surprised that a military base, Joint Base Charleston, won! Senior Airman and first-time mom, Lissabeth Gagnon, is stationed at Joint Base Charleston. She said she found that the military was really supportive of new moms (this is where you clap loudly). She was able to nurse her son, Aiden, at the nearby base childcare center in the mornings and at lunch. But not every military mama is this lucky with opportunities and command cooperation. Aeroflow Breastpumps believes that can change, though, and positive experiences can outweigh the negative experiences. Cheri Hoffman is the brand manager for Mom and Baby with Aeroflow Healthcare. 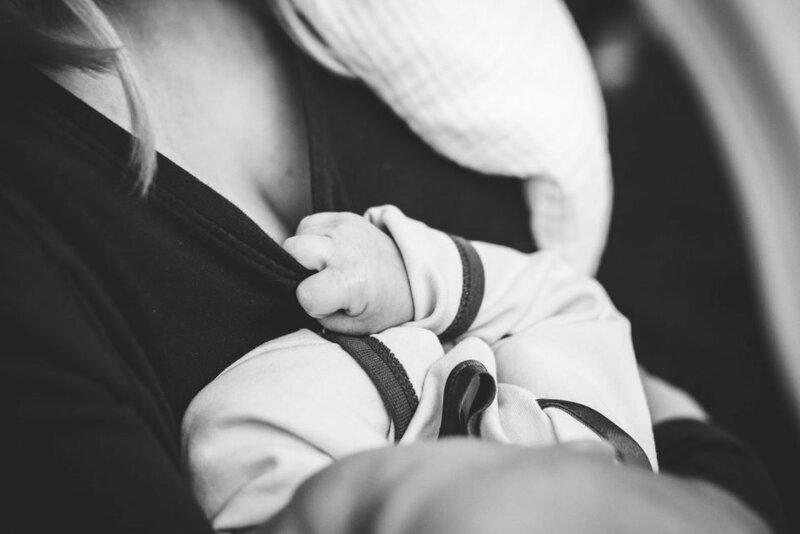 Aeroflow Breastpumps are widely used by nursing and pumping mamas, and Hoffman says that a lactation room doesn’t have to be complicated or expensive. Gagnon said the room had always been a comfortable place for her to tend to Aiden when she needed to, but sprucing it up was a welcome thing. Hoffman said that with more than 550 entries, it wasn’t easy to select just one winner, but they selected Joint Base Charleston because Aeroflow Breastpumps wants to raise awareness about the benefits of supporting breastfeeding mothers in the military community. According to the Centers For Disease Control and Prevention, fewer than 50 percent of infants are exclusively breastfed through 3 months and about 25 percent through 6 months of age. The rates suggest that the critical support mothers need from their community is not happening, and because the military is male-dominated, we can imagine that’s often the case. 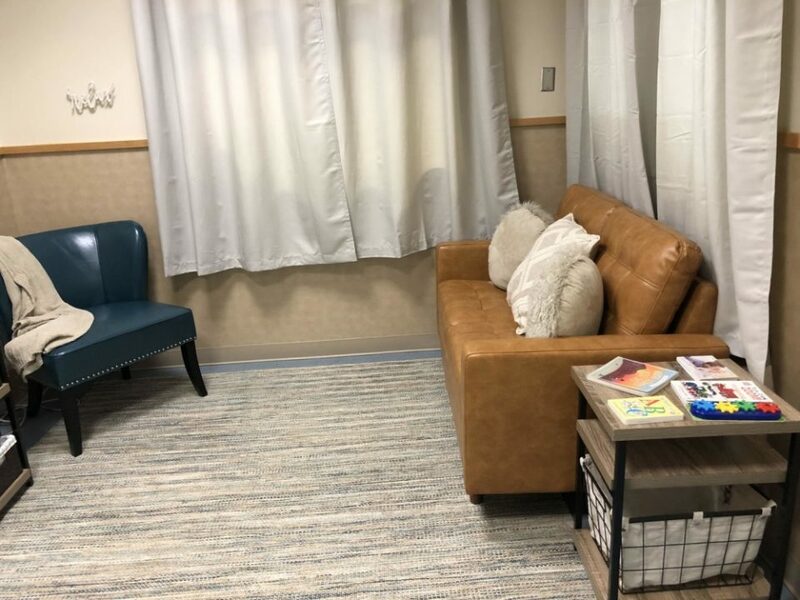 Particularly when service-member mamas return to work, having an onsite lactation room can make all the difference. 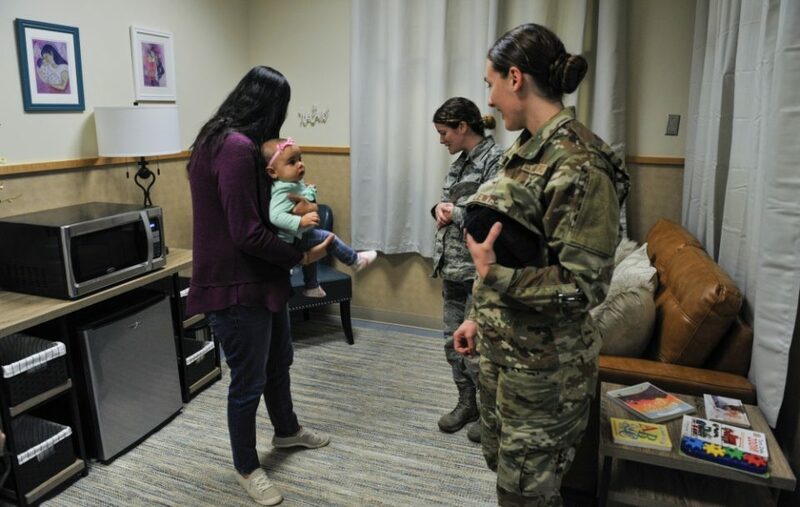 In fact, a 2015 study showed that only about 30 percent of women across military branches met their goals of breastfeeding duration and half of those women blamed the lack of critical support. 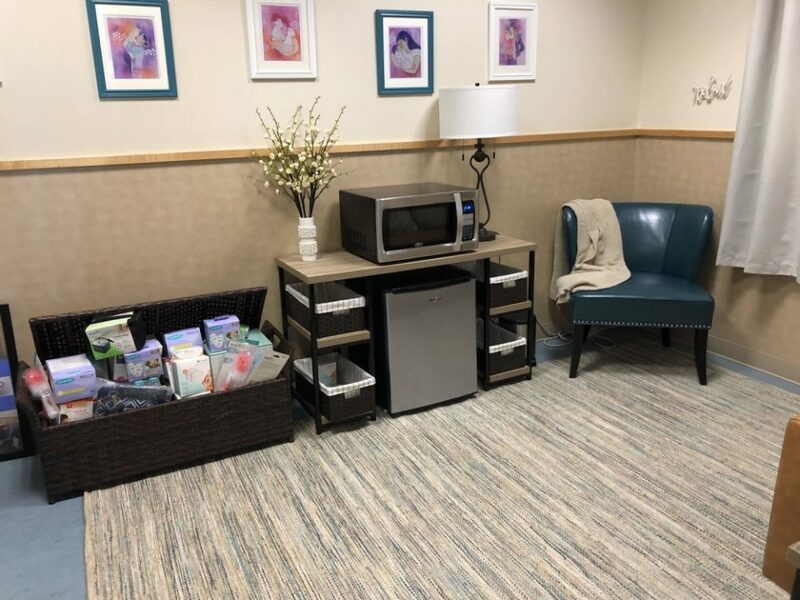 Aeroflow Breastpumps makeover brought new furniture, room accessories, breastfeeding artwork, and an overall encouraging feel for moms of the base, and Hoffman says they would love to continue to hold similar contests in the future to encourage breastfeeding moms to stay with it. Aeroflow Breastpumps showed our military mamas some major compassion. Take care of the new moms in your life by knowing the difference between baby blues, PPD, and postpartum psychosis.